Article in The Times on the extradition of President Carles Puigdemont: “A disaster for Spain”. The French MP Jean-Christophe Lagarde expresses his satisfaction for President Carles Puigdemont release and the rejection of such a ridiculous accusation of rebellion. Article in Euronews: Puigdemont should’nt and will not be extradited to Spain. 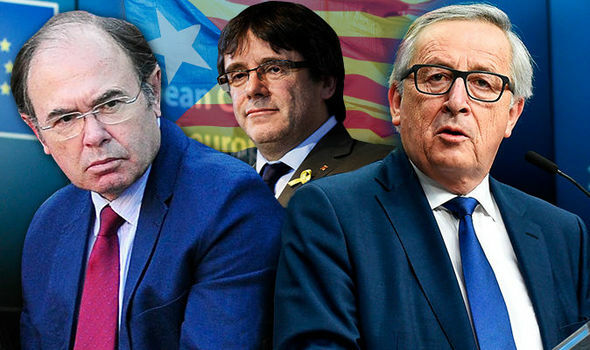 Article in Euronews: The German expert in legal matters, Heribert Prantl, thinks that European leaders should have done something to curb the actions of the Spanish president. Article al Süddeutsche Zeitung. German Minister of Justice, Katarina Barley, says she already expected the Court decision and that Spain should now justify the charge of embezzlement, which won’t be easy.